WOODSTOCK, IL--(Marketwired - February 02, 2017) - Marian Central Catholic High School would like to thank Ray Chrysler Dodge Jeep Ram for donating a new 2017 Jeep Patriot to their annual dinner auction fundraiser. The money raised will go towards tuition assistance and financial aid for the student body. Last year the annual fundraiser, which has been going on for 40+ years, raised $120,000. This year, Marian Central is hoping to raise $130,000. The fundraiser is taking place on Saturday, March 11th, in the Lander's Pavilion at Marian Central. Marian Central's Director of Advancement, Josh Binder says, "We are very fortunate to be able to partner with Ray and his team. Our relationship with Ray Autogroup will benefit both current and future Marian Central students for years to come." The relationship started through the owner of Ray CDJR, Ray Scarpelli, whose children attended Marian Central and showed a strong desire to get involved. 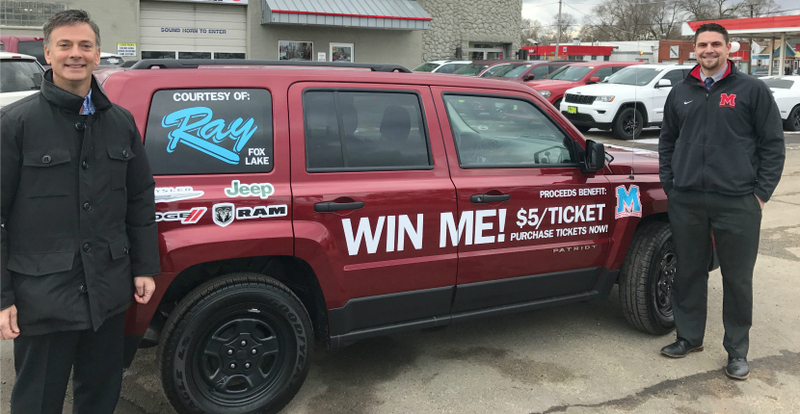 Raffle tickets will be sold and one lucky, randomly chosen winner will walk away with a brand new Jeep Patriot, courtesy of Ray Chrysler Dodge Jeep Ram. This is the second year in a row that Ray CDJR has donated to the annual fundraiser. See below for reservations and raffle prices. Ray Chrysler Dodge Jeep Ram is the newest family member of the Ray Autogroup. They are owned and operated by the Scarpelli family who has been serving Lake County and the Chicagoland are for over 50 years. You can visit them today on Route 12 in Fox Lake. Ray Chrysler Dodge Jeep Ram is Donating a new 2017 Jeep Patriot to Marian Central Catholic High School's annual auction fundraiser.